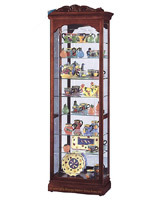 Built-in levelers to help steady the corner cabinet on uneven or thick carpet surfaces. 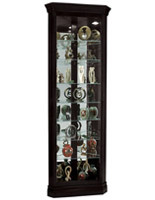 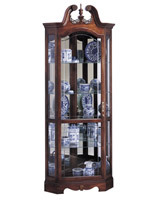 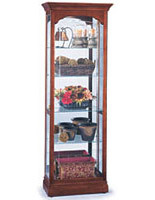 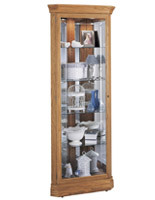 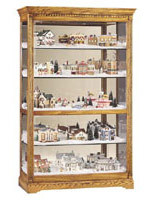 This curio cabinet is an ideal display cabinet. 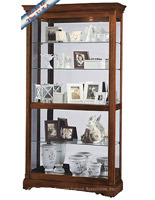 The Lynwood continues to be a preferred with homeowners, schools, libraries, churches and companies. 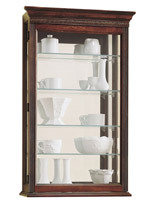 A traditional appearance with solid hardwood construction renders this display cabinet an ideal accent for your home.